As I continue to ameliorate my cooking skills, I am now able to rhyme off some super easy, delicious dishes for the average starving student. I'm living in a small apartment in France for the next few weeks and only have access to a cooktop for making my meals. This particular dish is well-suited for my living space, and is rich in sweet and salty flavours. It's definitely one of my favourites and can easily be whipped up in half an hour. If you have time, marinade your fish for a few hours before cooking to deepen the flavour. I used two tablespoons of maple syrup, one tablespoon of soy sauce and a bit of black pepper for two portions. This step isn't necessary, since marinading for 20 minutes before works fine for me. Starting off with the rice, combine half and half water and chicken broth, which you'll bring to a boil. I don't add any salt since the broth provides all the necessary flavour. Follow the quantity instructions on your pack of rice. Mine required 20 minutes of simmering to cook thoroughly. Make sure to stir frequently to avoid having it stick. I didn't end up adding them into mine, but I love the flavour of some chopped up dried apricots in my rice. Dried fruit will add a nice sweetness and texture to rice, couscous, or quinoa. For the fish, place a bare pan on low-medium heat, and let it warm up for a few minutes. Make sure the pan is hot, but not smoking. Carefully coat both sides of your salmon with olive oil and gently place them onto the pan. If it is too hot, you'll get splashed with scorching oil. Please, be careful. Raise the temperature to medium and flip after 4 minutes. Use a spatula, not tongs, since the fish may break apart if squished. Cook for 3 more minutes then serve. 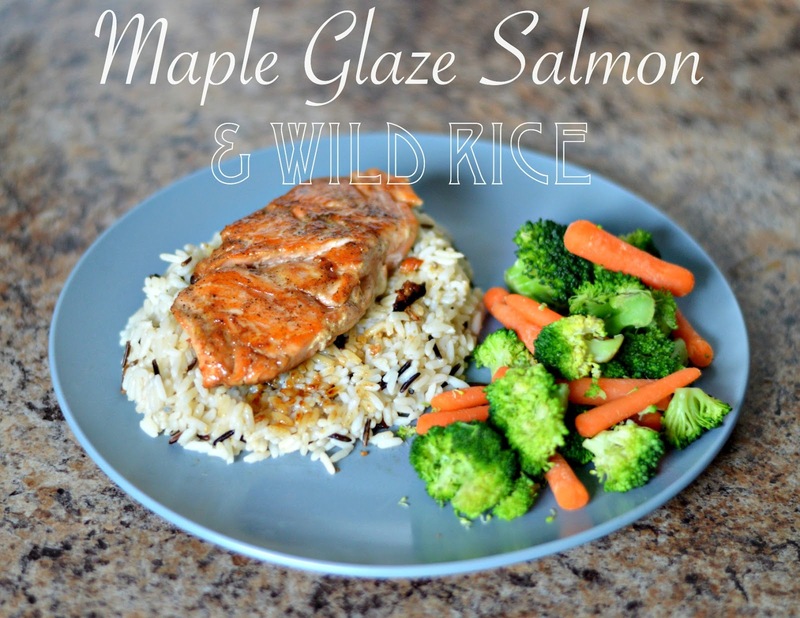 The salmon should be moist and flake apart with ease. There should be no translucency inside. I love the efficiency of steemed veggies, but if you have more time, boiled broccoli and caramelized carrots go very well with this dish. This particular bag shown in my ingredients can go straight into the microwave for only 3 minutes. 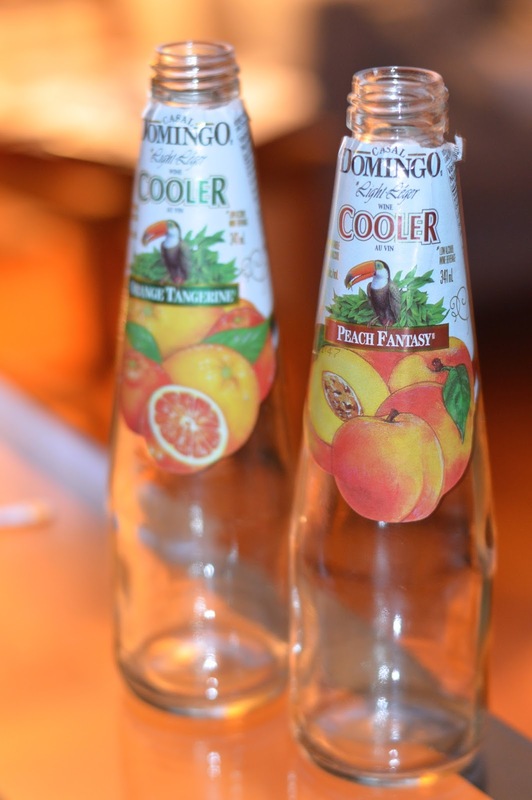 Just an FYI, I found these fruity "coolers" at Metro for around $2 each. They have a delicious, fresh flavour and are a fancier alternative to juice or pop. The orange tangerine kind is my absolute fave. 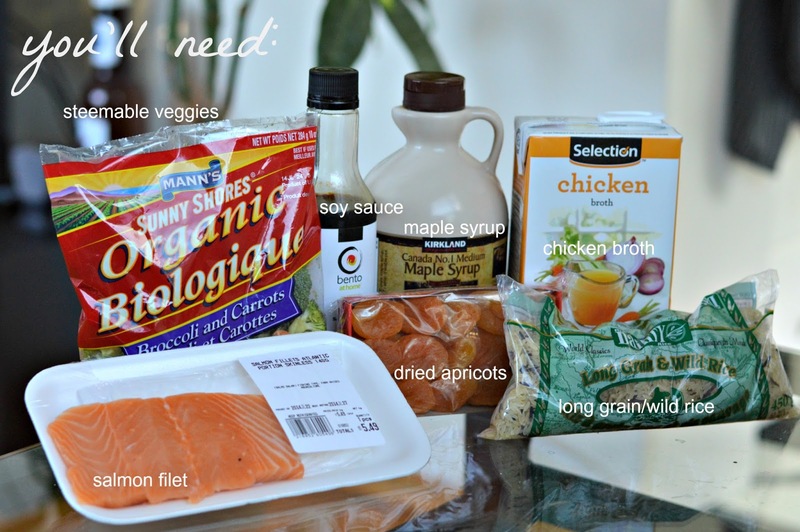 It can be a daunting task, but eating wholesome meals is actually pretty easy. Try this one out for yourself!